CAMBRIDGE, Mass. 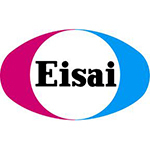 & TOKYO--(BUSINESS WIRE)--Eisai Co., Ltd. (Headquarters: Tokyo, CEO: Haruo Naito, “Eisai”) and Biogen Inc. (NASDAQ: BIIB) (Headquarters: Cambridge, Massachusetts, United States, CEO: Michel Vounatsos, “Biogen”) announced today that the companies have expanded their existing agreement to jointly develop and commercialize investigational Alzheimer’s disease treatments. Under the terms of the agreement Eisai has exercised its option to co-develop and co-promote aducanumab, Biogen’s investigational anti-amyloid beta (Aβ) antibody for patients with Alzheimer’s disease (“AD”). The expanded agreement leverages each company’s respective geographic strengths for commercialization and adjusts the respective share of profits from potential sales of aducanumab. Biogen will receive 55 percent of the potential profits in the United States and 68.5 percent of the potential profits in Europe. Eisai will receive 80 percent of the potential profits in Japan and Asia (excluding China and South Korea). The companies will have a 50:50 co-promotion split of potential profits in the rest of the world. Further, Biogen will book sales in the United States, Europe, and rest of world markets while Eisai will book sales in Japan and Asia (excluding China, South Korea). Biogen will continue to lead the ongoing Phase 3 development of aducanumab and will remain solely responsible for all development costs for aducanumab until April 2018. Eisai will then reimburse Biogen for 15 percent of expenses from April 2018 through December 2018, and 45 percent from January 2019 onwards. Neither party is making any upfront payments associated with the exercise of the aducanumab option. Furthermore, Eisai’s and Biogen’s respective milestone payments under the original agreement for aducanumab and BAN2401, an anti-Aβ protofibril antibody, have been eliminated. The companies will continue to jointly develop elenbecestat* (E2609), a beta amyloid cleaving enzyme (BACE) inhibitor, and BAN2401. The financial terms for elenbecestat and BAN2401 remain unchanged, other than the eliminated BAN2401 milestone payments. Additionally, Eisai and Biogen have agreed to co-promote Biogen’s multiple sclerosis (MS) treatments, AVONEX (interferon beta-1a), TYSABRI (natalizumab) and TECFIDERA (dimethyl fumarate) in Japan to those accounts that Biogen currently does not call upon. Eisai will also distribute and book sales for AVONEX, TYSABRI, TECFIDERA and PLEGRIDY® (peginterferon beta-1a) in India and other Asia-Pacific markets (excluding China). This press release contains forward-looking statements, including statements made pursuant to the safe harbor provisions of the Private Securities Litigation Reform Act of 1995 relating to the anticipated benefits and potential of Biogen’s collaboration arrangements with Eisai, risks and uncertainties associated with drug development and commercialization, the potential benefits, safety and efficacy of investigational drugs including aducanumab, elenbecestat, and BAN2401, the timing and status of current regulatory filings and the potential of Biogen’s commercial business and pipeline programs, including aducanumab, elenbecestat, and BAN2401. These forward-looking statements may be accompanied by words such as “aim,” “anticipate,” “believe,” “could,” “estimate,” “expect,” “forecast,” “intend,” “may,” “plan,” “potential,” “possible,” “will,” and other words and terms of similar meaning. Drug development and commercialization involve a high degree of risk, and only a small number of research and development programs result in commercialization of a product. Results in early stage clinical trials may not be indicative of full results or results from later stage or larger scale clinical trials and do not ensure regulatory approval. You should not place undue reliance on these statements or scientific data presented. These statements involve risks and uncertainties that could cause actual results to differ materially from those reflected in such statements, including without limitation, uncertainty as to whether the anticipated benefits and potential of Biogen’s collaboration arrangement with Eisai can be achieved; risks of unexpected costs or delays; uncertainty of success in the development and potential commercialization of aducanumab, elenbecestat and/or BAN2401, which may be impacted by, among other things, unexpected concerns that may arise from additional data or analysis, the occurrence of adverse safety events, failure to obtain regulatory approvals in certain jurisdictions, failure to protect and enforce Biogen’s data, intellectual property, and other proprietary rights and uncertainties relating to intellectual property claims and challenges; and third party collaboration risks. The foregoing sets forth many, but not all, of the factors that could cause actual results to differ from Biogen’s expectations in any forward-looking statement. Investors should consider this cautionary statement, as well as the risk factors identified in Biogen’s most recent annual or quarterly report and in other reports Biogen has filed with the Securities and Exchange Commission. These statements are based on Biogen’s current beliefs and expectations and speak only as of the date of this press release. Biogen does not undertake any obligation to publicly update any forward-looking statements, whether as a result of new information, future developments or otherwise. Aducanumab (BIIB037) is an investigational drug being developed for the treatment of AD. Aducanumab is a human recombinant monoclonal antibody (mAb) derived from a de-identified library of B cells collected from healthy elderly subjects with no signs of cognitive impairment or cognitively impaired elderly subjects with unusually slow cognitive decline using Neurimmune’s technology platform called Reverse Translational Medicine (RTM). Biogen licensed aducanumab from Neurimmune under a collaborative development and license agreement. In August 2016 aducanumab was accepted into the European Medicines Agency’s PRIME program. In September 2016 the U.S. Food and Drug Administration accepted aducanumab into its Fast Track program and in April 2017 aducanumab was accepted into the Japanese Ministry of Health, Labour and Welfare’s (MHLW) SAKIGAKE* Designation System. * SAKIGAKE aims at shortening premarket review period for innovative new medical products that satisfy certain criteria, such as severity of intended indication, by designating such products during the early stages of development, and providing prioritized consultation services and premarket pharmaceutical affairs review. The target review period for the designated products may be reduced to as short as 6 months, half the standard review period of 12 months for typical new pharmaceutical products. Eisai and Biogen will enter into a sales collaboration to further expand contributions to patients in Japan and Asia (excluding China) through Biogen’s MS treatments. In Japan, Eisai will co-promote AVONEX, TYSABRI, and TECIFIDERA, MS treatments for which Biogen holds the rights, to accounts that Biogen currently does not call upon. In Asia (excluding China), Eisai now has sole promotion rights for the above three products as well as PLEGRIDY. At Biogen, our mission is clear: we are pioneers in neuroscience. Biogen discovers, develops and delivers worldwide innovative therapies for people living with serious neurological and neurodegenerative diseases. 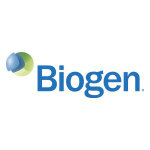 Founded in 1978 as one of the world’s first global biotechnology companies by Charles Weissman and Nobel Prize winners Walter Gilbert and Phillip Sharp, today Biogen has the leading portfolio of medicines to treat multiple sclerosis; has introduced the first and only approved treatment for spinal muscular atrophy; and is focused on advancing neuroscience research programs in Alzheimer’s disease and dementia, neuroimmunology, movement disorders, neuromuscular disorders, pain, ophthalmology, neuropsychiatry, and acute neurology. Biogen also manufactures and commercializes biosimilars of advanced biologics. 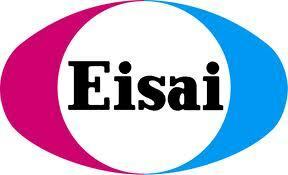 Eisai Co., Ltd. is a leading global research and development-based pharmaceutical company headquartered in Japan. We define our corporate mission as “giving first thought to patients and their families and to increasing the benefits health care provides,” which we call our human health care (hhc) philosophy. With approximately 10,000 employees working across our global network of R&D facilities, manufacturing sites and marketing subsidiaries, we strive to realize our hhc philosophy by delivering innovative products to address unmet medical needs, with a particular focus in our strategic areas of Oncology and Neurology.